With every contemporary fashion week usually comes a firm theme of ‘no make-up’ make-up. 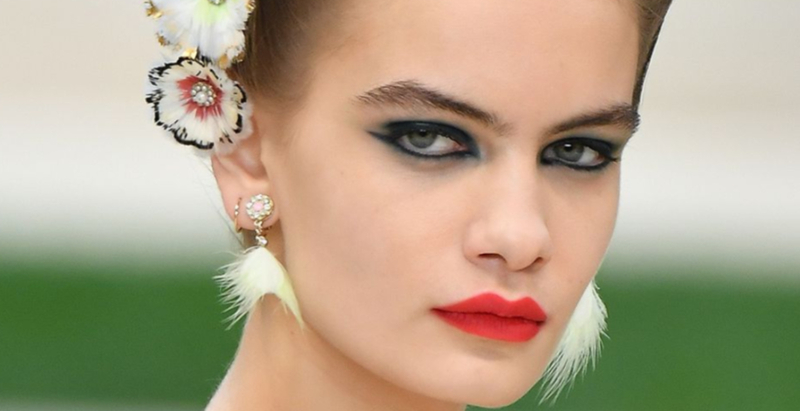 Not so at couture spring/summer 2019, currently taking place in Paris, where Chanel just cemented the return of bold beauty. Lucia Pica, Chanel’s global creative make-up and colour designer, gave models an ‘80s-influenced look with an equal focus on the eyes and lips. Rules, what rules? “Red means love, danger and passion, but also disruption – it’s so strong,” Pica has said of one of her favourite hues, which she believes can be worn by us all. But while the Chanel couture red lip may be straightforward to achieve at home, the artist’s elaborate navy eye make-up requires quite the skill. 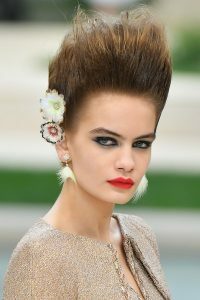 Given the Chanel couture show this season was influenced by Karl Lagerfeld’s love of the 18th century, the make-up remains modern (despite the obvious retro vibes). Why? The absence of heavy brow products (at last! ), plus the presence of ultra-natural skin juxtaposing the bold accents. The hair, by seasoned Chanel stylist Sam McKnight, was anything but a supporting act. Inspired by early ‘80s style icons, “it became a mix of 18th century romance and Bowie’s Blitz Kids” he explained on Instagram. To achieve such gravity-defying height, McKnight used his Easy Updo and Modern Hairspray – presumably lots of it. The actress looked wedding-ready as she celebrated her upcoming nuptials. Ultra-cool spaces, sleek designs museums, and thought provoking sculpture parks in Asia, in one BAZAAR shortlist. Kanye West picked out the look. We ask the experts about small tweaks to make to our lives in 2019. You’ll want everything from the highly anticipated Erdem for Nars make-up collaboration.